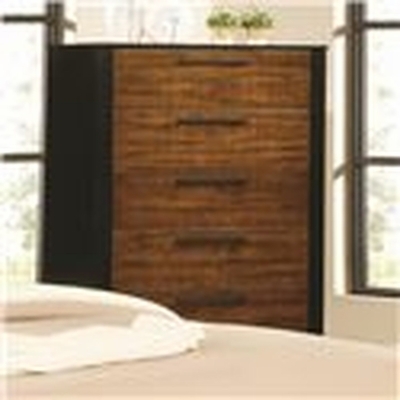 Store and organize clothing, linens and accessories in this tall drawer Chest. Felt lining in the top drawer protects jewelry and accessories. With natural cherry and cappuccino finishes, the beautiful two-toned design catches your eye adding to the simple style. Each drawer features long pulls finished with an antique brass.